Chelsea Green Publishing Company, 9781603586047, 192pp. 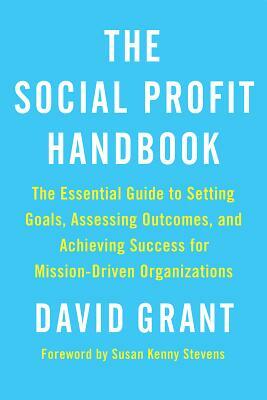 Drawing upon decades of leadership in schools and the foundation and nonprofit worlds, author David Grant offers strategies--from creating mission time to planning backwards to constructing qualitative assessment rubrics--that help organizations take assessment back into their own hands, and improve their work as a result. His insights, illustrated by numerous case studies, make this book a unique organizational development tool for a wide range of nonprofit organizations, as well as emerging mission-based social venture businesses, such as low-profit corporations and B Corps. The Social Profit Handbook presentsassessment and evaluation not as ends in themselves but as the path toward achieving what matters most in the social sector. The result: more benefits to society and stronger, more unified, more effective organizations prepared to make the world a better place.